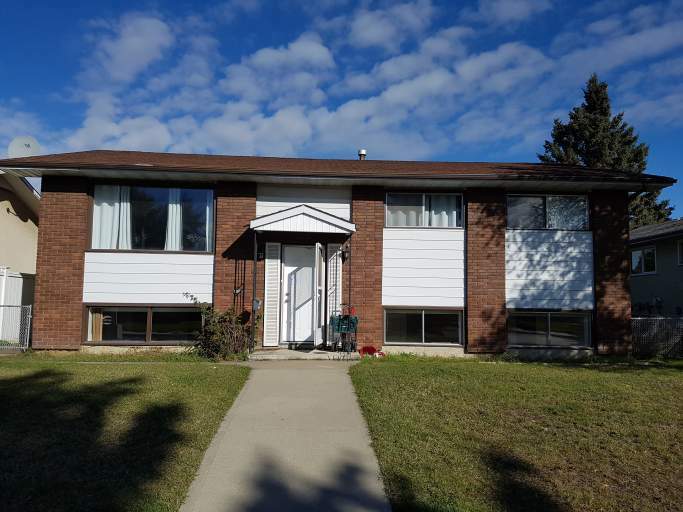 Located in the NE Kilkenny community, this spacious and bright basement suite is just blocks away from Londonderry Mall and M.E. Lazerte High School. With plenty of transit options surrounding the area, and easy access to Fort Road and 97 Street any commute is breeze! You'll truly enjoy everything this neighborhood has to offer! Head into the suite and find a massive front living room boasting comfortable carpet flooring and a large window. The living room opens into a tiled dining area and huge kitchen which boasts tons of cupboard and counter space along with a full-size fridge and stove. You'll fall in love with the amount of space in this kitchen! Down the hallways you will find a large master bedroom with a built-in closet and a private half bathroom ensuite! Another small room, perfect for a study or play area, and a full bathroom with a tub shower complete this fantastic unit. The suite also included its own private washer and dryer! Cat may be accepted, subject to $250.00 Non-Refundable One-Time Fee.